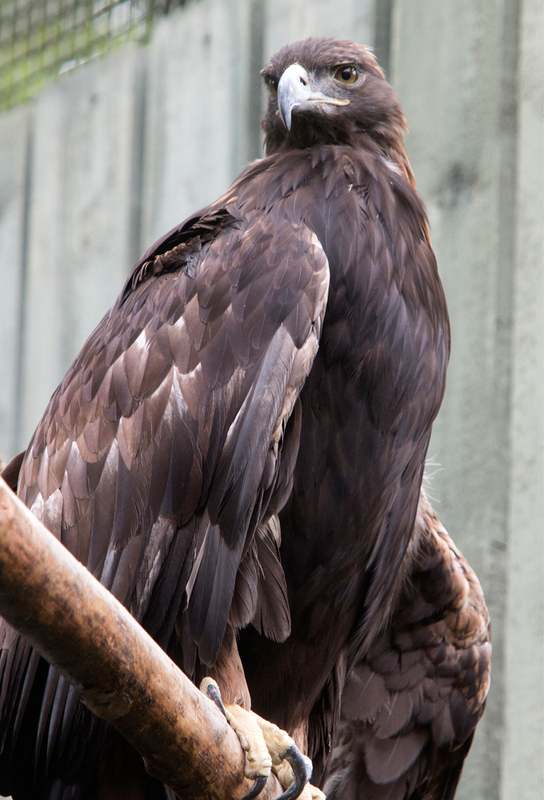 Struck by a car as a juvenile, Cody sustained permanent damage to the feather follicles in his right wing. These crucial flight feathers will never regrow properly, so Cody cannot fly well enough to survive in the wild. After being treated at a rescue center in Cody, WY, he came to VINS in 1997. Equipped with the highly acute vision that Golden Eagles need to hunt their prey in the wild, Cody also has a knack for recognizing human faces. Our rehabilitation staff are responsible for the health of all of our permanent resident birds, and are not among Cody’s favorite people. Although he lets visitors pass his enclosure in peace, he will try to chase off the rehabilitators whenever he sees them. 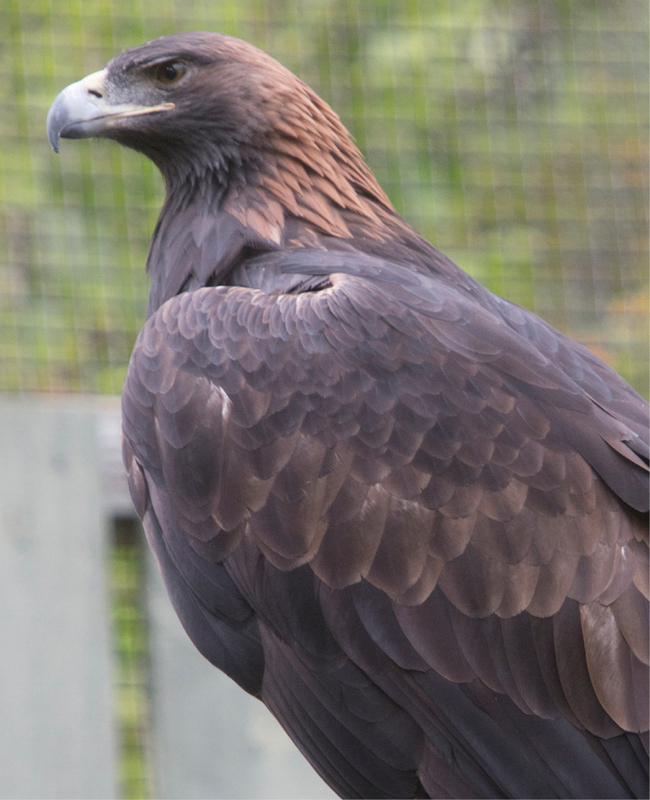 Golden Eagles are powerful, formidable birds, with the ability to exert close to 1500 psi with their talons. Known for hunting large rabbits out west in North America, in Europe, and the Asian Steppe, Golden Eagles may weigh up to fifteen pounds and hunt small deer. 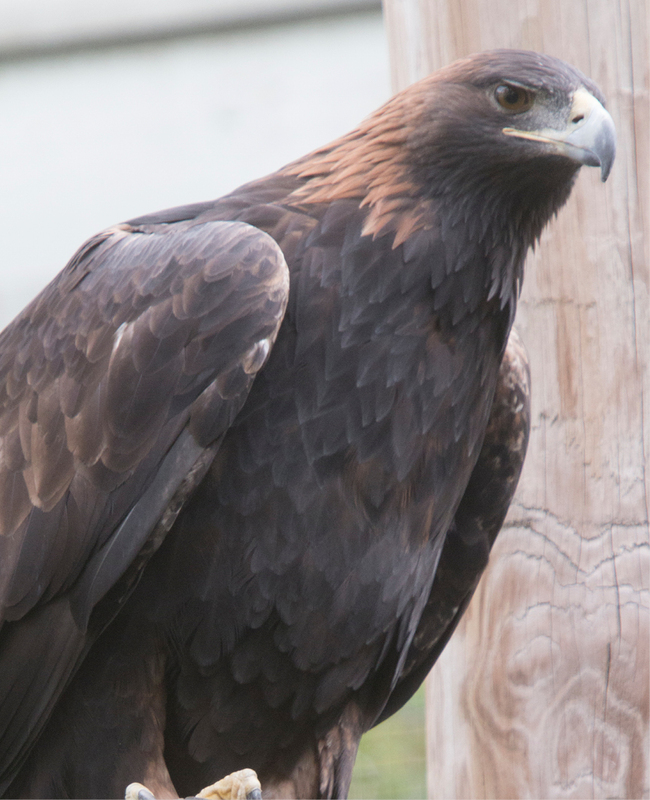 Thank you for helping support the care of our Golden Eagle, Cody, through the RISE Adopt a Raptor Program. Together, we can protect our natural heritage through education, research and avian wildlife rehabilitation.